Tom Ryan is a former school district chief technology officer who is now CEO of the eLearn Institute, a nonprofit organization that helps schools design and implement their own high-quality eLearning programs. He also leads the Consortium for School Networking’s “Becoming Assessment Ready” initiative, and he has five suggestions for how K-12 leaders can improve their planning and preparation for the Common Core exams. “To me, the biggest challenge this year has been confusion about what the Common Core really is,” Ryan said. As a result, many school districts have had to deal with controversy and criticism that has distracted from the task of preparing for the exams. Ryan believes many of the arguments against the new standards have nothing to do with the standards themselves, but rather how states have chosen to implement them. And some critics still do not understand what the standards are. The more effort K-12 leaders make to educate the public—such as by holding open houses for parents and others in their communities—the smoother the process should go in the future. 2. Break down school district silos. Another key barrier to preparing for the Common Core has been the reality that district leaders in charge of assessment, instruction, and technology too often work in silos and are not planning together in a coordinated fashion. “Many school district departments are still operating on an analog methodology, independently of each other,” Ryan said. For a challenge the size of the Common Core, he said, school districts need to have a collaborative, cross-functional strategic planning team. After each round of assessment, the planning team should meet to discuss what they can learn from the event. “Team members should ask: What were the challenges we faced? How can we mitigate these the next time?” Ryan said. 3. Make sure you have the proper equipment. Because their assessment and IT departments were not working together, some school districts have purchased ed-tech devices and then discovered they would not work with their state testing system, Ryan said. That is less likely to happen when there is a cross-functional strategic planning team in place—and district leaders also should make sure they understand the technology specifications of their state’s online testing system before buying any new devices. 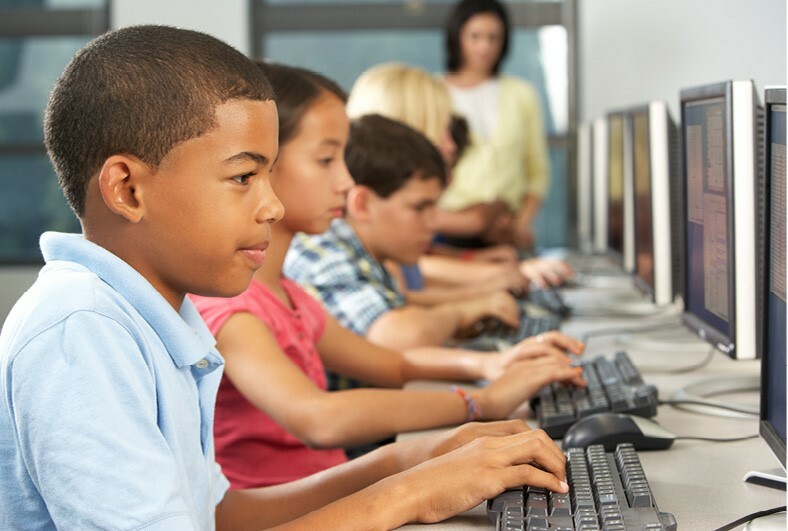 In choosing devices, K-12 leaders should ask: “How can we use the devices outside of testing as well?” said Carlos Garcia, another former K-12 IT director who is now national purchasing director for Mac to School. 4. Embed technology into instruction. The school districts that are best positioned for new online exams not only have a cross-functional planning team in place; they also offer classroom access to technology for teaching as well as testing. “The schools that will see the most success are the ones where technology is woven into everyday instruction,” Ryan said. Because the new tests require students to have a functional literacy with computing devices, such as switching between screens, opening drop-down menus, and highlighting words, students should be using technology in their daily classroom experience in order to build these skills. “For schools that embedded technology into their instructional practice, so that using technology was not an event, but part of the day-to-day operation, the assessment was no big deal,” Ryan said. 5. Don’t approach assessment as a one-time event. At Independent School District 196 in Rosemount, Minn., teachers are using a next-generation online platform called Naiku to create formative assessments, administer the tests, receive instant feedback, and discuss these results collaboratively with their colleagues.